A drama about what happens when a couple of lawyers gets divorced. A love story revolving around the game world and reality. Kim Joo Won (Jang Hyuk) is a chaebol who operates a department store, his arrogant personality changes after he meets a woman named Ra Im (Ha Ji Won). Of the high-rolling top 'hot celebrities' of the wealthy upper class in Korea's high society, Kang Hye Na (Hena) is the one desired by the men, feared and hated by the women. Being the only successor to the largest conglomerate company, Kang-san Group, Kang Hena has both the looks and the background. She is the owner of the ‘Lady Castle’ and lives a ‘princess-like’ life with her servants. Chun Ji Ae and Yang Bong Soon are high school classmates who did not have the best relationship with each other. Ji Ae was the most popular girl in school whereas Bong Soon was the girl that was always made fun of. Years later, their roles are reversed as Bong Soon's husband, Kang Joon Hyuk, is very successful whereas Ji Ae's husband, Ohn Dal Soo, is just an average company worker. Things get complicated when Dal Soo starts an extra-marital affair with his boss's wife, Eun So Hyuk. How will Ji Ae react to this? Young Eun lived with a family ever since she was an orphan and then fell in love with Do Hyun who is 5 years older than her. However, Do Hyun’s family did not approve of Do Hyun dating Young Eun. 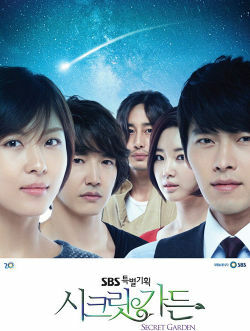 As a result, Young Eun eventually left Do Hyun and marries a doctor, Joo Kyung Woo. Although Kyung Woo acts like a gentleman, he is actually a mama’s boy with multiple and complicated personalities. Though he treats Young Eun well, he believes everything his mother tells him and will turn on Young Eun at any moment. Jin Ah is a pediatric medical resident and falls for Do Hyun. But she is unsure of his relationship with Young Eun. Do Hyun decides to marry Jin Ah and after the wedding, Young Eun has had enough of Kyung Woo's mother. She decides to leave Kyung Woo. What will happen between Do Hyun and Young Eun? Will they realize they can't leave without the other? Shin Na Ra, a woman who is almost thirty welcomes her boyfriend of ten years back from his business trip. During their dinner, he tells her that he not only had an affair but fell in love with another woman. Thus their relationship is no more. To make herself feel better, Na Ra drinks a large amount of alcohol and unknowingly dropped the ring her ex-boyfriend gave her into a random stranger’s cup. The stranger, In-Jae, drinks the shot without seeing the ring and both of them end up in the hospital. To support herself, Na Ra pretends to be her 20 years old sister in order to work as a cosmetic clerk at Mi-Rae (the woman her ex-boyfriend fell in love with)’s shop but fate has brought In-Jae to the shop to. Thus began their surprising journey of love, where In-Jae is in love with Mi-Rae too. Want to marry a millionaire? Add one 'Average Joe', be one of eight women selected, and money from the television network station and you can. Han Eun-young works as a clerk at a bank, trying to pay off the debts her step-mother and sister have piled on her. Kim Young-hoon is your regular, 'Average Joe', worker. He provides for his father, his older brother and his wife, as well as his younger brother.One day, PD Yoo Jin-ha is asked to take over the project, "Marry a Millionaire". Reluctantly, he agrees to handle the project. His search begins for the perfect man to play the 'millionaire'. His goal is to use a man who is an average worker, but can pull off the facade of a millionaire. Kim Young-hoon is that man. Although he works hard for a living, there are many who can easily mistake him for a rich guy.By chance, Eun-young is selected to be a particpant in the TV show. Although the women are not supposed to know that this millionaire of their's is just a regular worker, Eun-young knows his true identity.How?Simple. Young-hoon was her first love. After many years, they meet up again at a party. Although she didn't recognize him at first, she realized it was the young boy she had fallen in love with back in middle school. Although she says she made a mistake in liking him, being in the show with him is bringing up warm feelings once again.